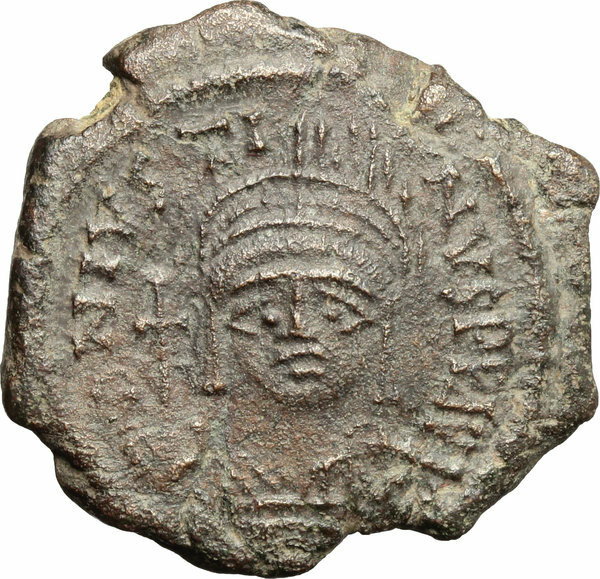 Coins 433 Justin II (565-578). 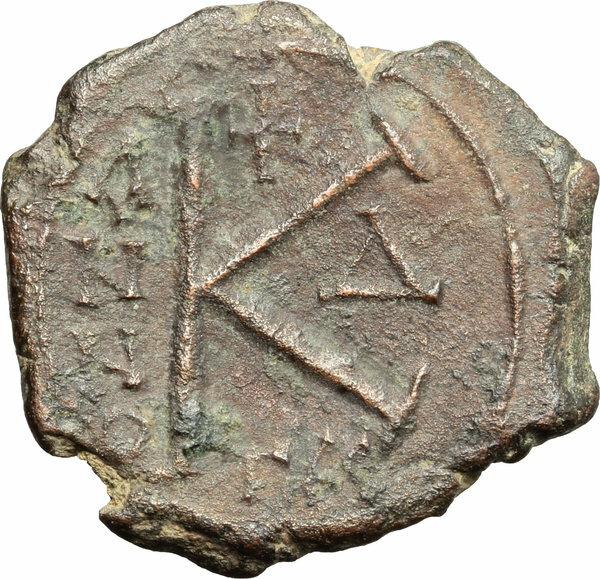 AE 20 Nummi, Thessalonica mint, 568-569. D/ Bust of Justin facing, helmeted, cuirassed; holding cross-globe. R/ Mark of value (K). DOC 61-64. MIB 68a-b. Sear 365. AE. g. 5.86 mm. 24.00 About VF.